Chubby Mealworms is very excited to be working exclusively with Beta Hatch to bring these mealworms to you. Beta Hatch have been researching and refining the most efficient way of growing mealworms for several years now. 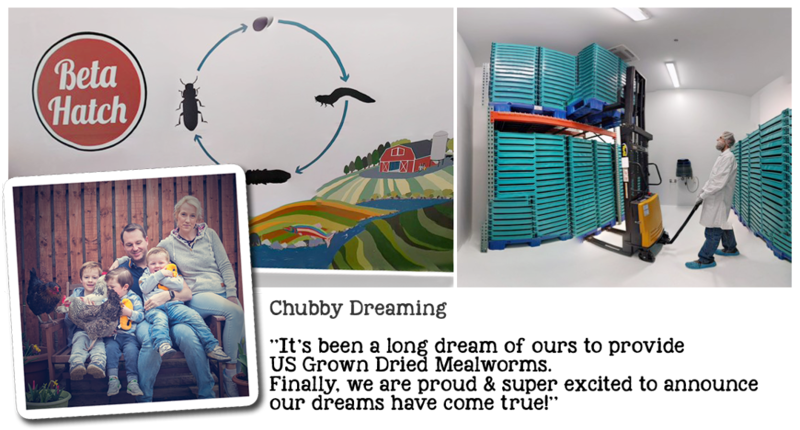 They believe in harnessing the incredible potential of insects to change our food systems. 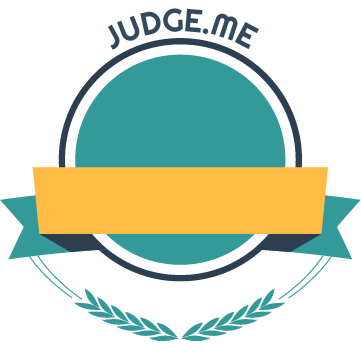 It's a really big deal and we are super excited to be not only part of their project but have exclusivity to sell their 100% Organically fed Mealworms. Unfortunately growing mealworms on a large sustainable scale is not easy! While production capacity is increasing we will only a have a small quantity of product available each month. To begin with, these will only be sold in 3lb bags and are restricted to a maximum of 4 per customer. We expect these to sell out very fast and we are sorry if they are not available when you try to order them. 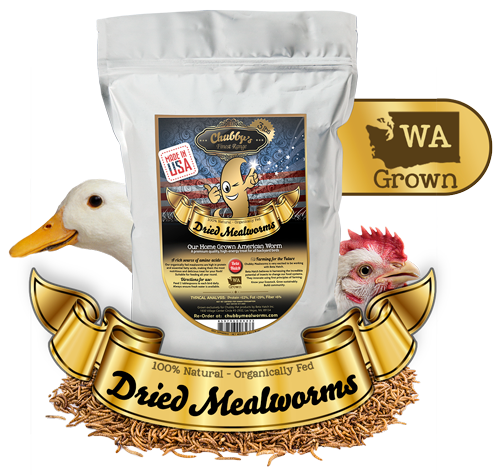 To be the first to know about new stock being released and for product developments on our US grown mealworms sign up to our special mailing list at the bottom of this page. As we head into Spring 2019 we expect the amount available will increase and this will be followed by a larger range of sizes. We expect 2019 to be a very exciting year for us as we bring to market larger quantities of what you have all been waiting for! If you missed out this time, do not worry - as long as we have interest in the product we can continue this journey. Please sign up to our mailing list to have first refusal on upcoming batches.